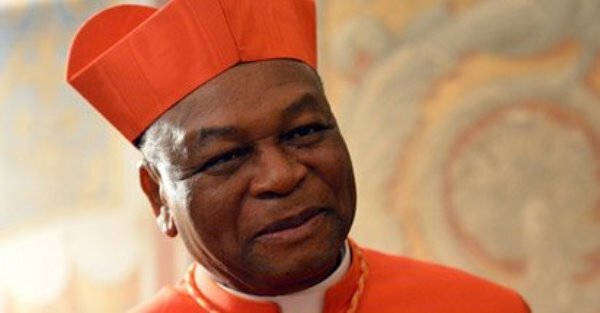 The Catholic Archbishop of Abuja, Cardinal John Onaiyekan, has called on both Christian and Muslim clerics to stop misleading their followers in their sermons. Cardinal Onaiyekan made the call on Monday in Ilorin in his keynote address at the First International Conference of Inter-Religious Council organised by the University of Ilorin. The theme of the Conference is: “A peaceful co-existence among adherents of different religions: a panacea for National integration and Development”. He advocated for the total training of both Muslim and Christian clerics on knowledge of scriptures to improve religious harmony in Nigeria. The Cardinal said there were too many ignorant Christian and Muslim clerics misleading their adherents. He noted that religious harmony was possible in Nigeria, but required that clerics from the two major religions should to go back to the scripture and be retrained. According to him, religious leaders must change their mode of addressing their adherents to conform with the correct teachings of their religions and promote total peace and harmony. “Religious harmony is not just peaceful co-existence, which is often not peaceful at all especially when there are perceptions of injustice in some quarters. “Peace is more than the absence of war,” Cardinal Onaiyekan said. Onaiyekan said it was only peace that could bring about national integration, in which every section would find itself at home and valued. “There is need for a radical theological updating of our ideas of God and our faith, in such a way that we can accommodate others, just as God Himself has accommodated all of us,” he said. He called on the diverse religious adherents to celebrate the common grounds we have in our faiths, despite the non-negligible doctrinal differences. Speaking at the occasion, Prof Ishaq Oloyede, Secretary General of the Nigerian Supreme Council for Islamic Affairs said the conference was appropriate and timely. Oloyede warned against the condemnation and provocation of people of other faith which often can lead to unhealthy relationship among people . Earlier in his welcome address, Prof Sulyman Abdulkareem, Vice Chancellor of the University described religious bigotry as one of the major problems confronting Nigeria. He said there was so much intolerance against one another which was the major cause of religious crises across the nation.